The Air Force Installation and Mission Support Center has been at the innovation forefront since it stood up in 2015, and it’s taking it to the next level in 2019. In addition to more than 50 innovations fielded to date that are having a positive effect on installation and mission support operations, the organization’s commitment to be the I&MS innovation leader took a major step forward with the stand-up of an innovation office in November. 2018 Installation and Mission Support Weapons and Tactics Conference attendees read about one of the four mission area working group chairmen who led a team to think innovatively in tackling one of the Air Force’s toughest agile combat support challenges during the San Antonio event out-brief. 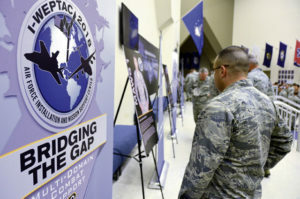 The May 16 out-brief presented proposed solutions to about 1,000 senior Air Force leaders and members of the installation and mission support community. Chief among AFIMSC’s innovations is the annual Installation and Mission Support Weapons and Tactics Conference (I-WEPTAC). The Air Force’s only I&MS innovation forum develops solutions for challenges facing the agile combat support community. I-WEPTAC spawned two Air Force innovations: the Combat Support Wing and the Installation Investment Strategy (I2S). The CSW evolved from an idea to four proof-of-concept exercises this year that tested a small team’s capability to conduct agile downrange operations. Airmen stepped out of their comfort zones to learn core skills from Air Force specialty codes other than their own. It validated an innovative way to deliver airpower lethality more efficiently and effectively anywhere in the world. The I2S blossomed from the Installation Health Assessment initiative. The IHA tool, which became operational in 2017, initially targeted facility sustainment, restoration and modernization mission areas. AFIMSC continued to expand on the IHA tool in FY18, adding data for additional installation and mission support areas and enhancing predictive analysis capabilities across the 22 installation and mission support areas to better inform investment strategies. The tool is a first-of-its kind, Tableau-based framework that combines and evaluates data from a variety of other tools and databases. The Secretary of the Air Force’s Installation, Environment and Energy utilized big data to champion an infrastructure investment strategy with an end state of fiscally sustainable infrastructure to assure combat readiness, lethality and Airmen resilience. 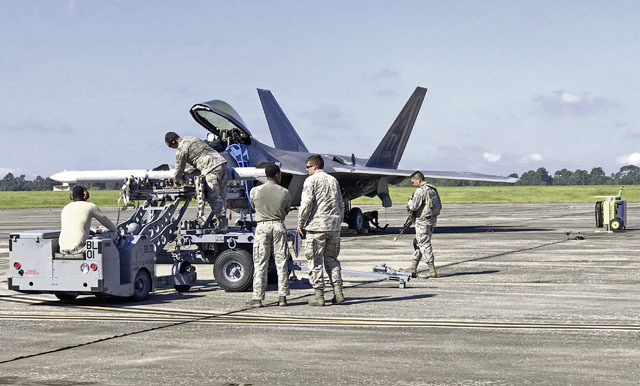 Every commander at the Air Force’s 10 major commands signed off on the strategy and understands the effect of the installation as a weapons system. IHA and the Air Force Innovation Hub Network (AFWERX), in particular, demonstrate AFIMSC’s goal to quickly bring innovative ideas to implementation, said Marc Vandeveer, AFIMSC chief innovation officer. AFWERX, which has hubs in Las Vegas and Washington, D.C., opened an office in Austin, Texas, and AFIMSC was the first Air Force organization to work with the Austin Hub. AFIMSC allocated $150,000 to partner with AFWERX on advancing unmanned aerial vehicle use on installations. Seeing the immediate potential, AFWERX provided $50,000 in matching funds, and the Small Business Innovation Research program added another $750,000. As a result, the Air Force Civil Engineer Center partnered with a small Austin-based start-up to utilize UAVs fitted with high-tech sensors to conduct aerial mapping and integrate machine learning algorithms to automate floodplain mapping, vegetation classification and identifying endangered species. This partnership will potentially save $2 million annually in mission sustainment costs while increasing mission effectiveness. Global turmoil and uncertainty has not only put greater emphasis on innovation but also on ensuring comprehensive Airman fitness. The Alpha Warrior program, managed by the Air Force Services Activity, revolutionized how the Air Force delivers functional fitness with a combination of obstacle courses and fitness apparatuses to hone the four pillars of Comprehensive Airmen Fitness – physical, mental, social and spiritual. In 2018, the Alpha Warrior team rolled out functional fitness training to 41 bases and launched the first Inter-Service Final Battle at Retama Park in Selma, Texas, a northeast suburb of San Antonio. The Air Force beat their Army and Navy peers to claim the championship. Alpha Warrior will continue to revolutionize functional fitness for Airmen by possibly adding battle rigs to the basic military training physical conditioning program and adding battle rigs in permanent deployment locations such as Al Udeid Air Base, Qatar. Promoting tab testing across the Wings to earn Commander’s Cup points and encourage competition between the squadrons is also planned.